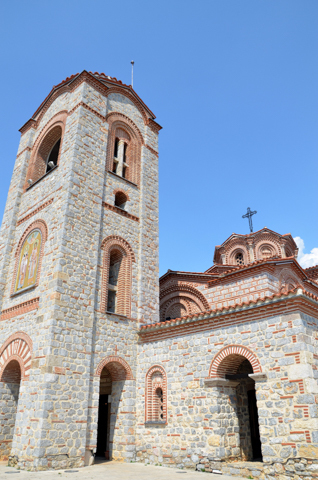 St. Panteleimon & St. Clement, Sveti Pantelejmon i Sveti Kliment – Plaošnik. 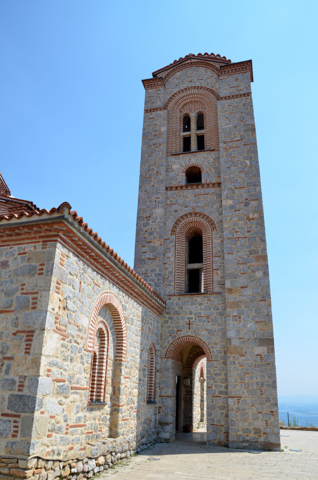 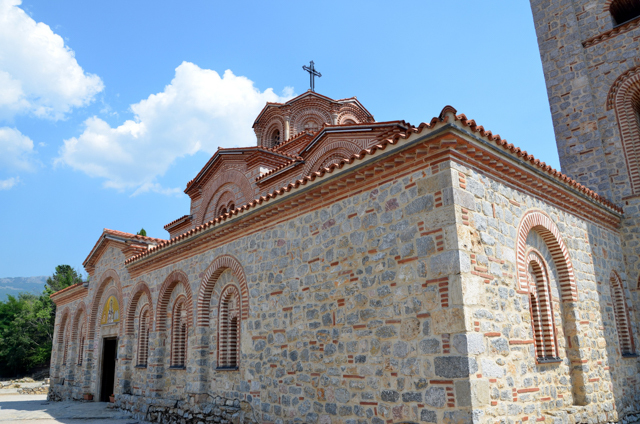 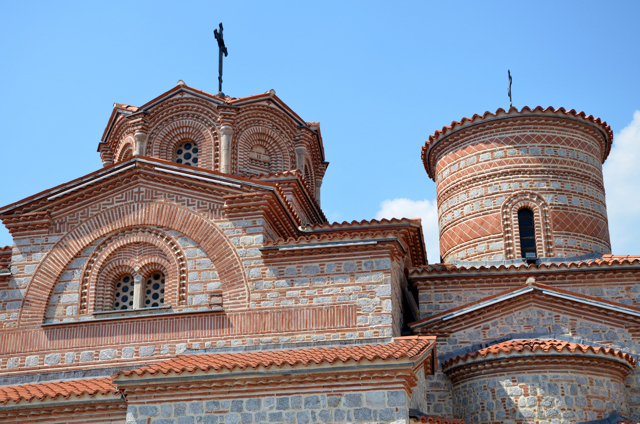 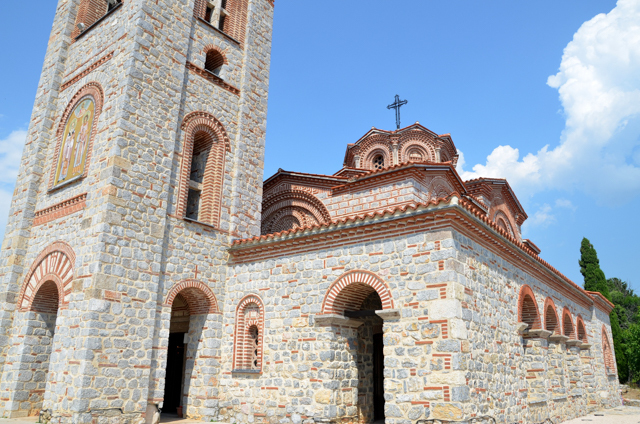 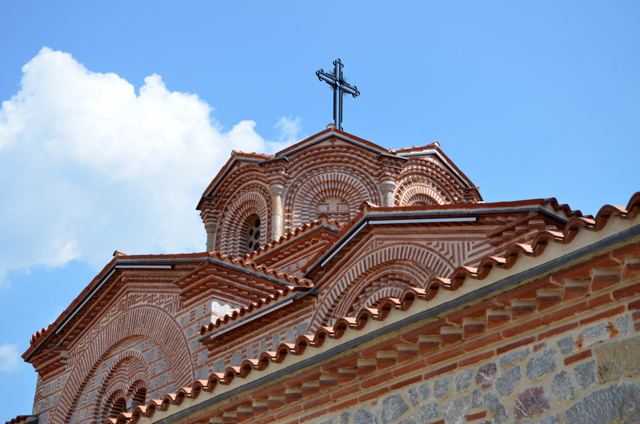 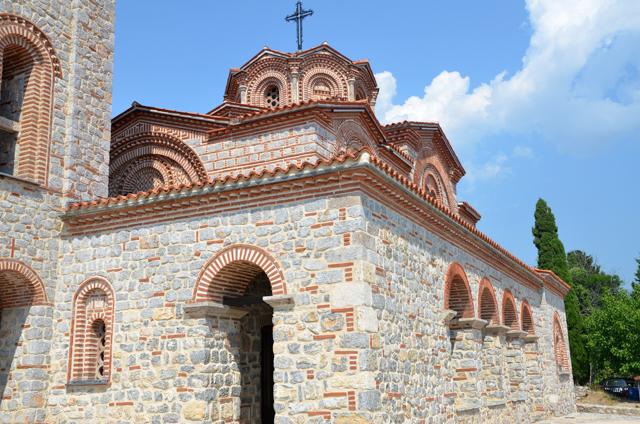 This church and monastery dedicated to St. Panteleimon is located on a very picturesque setting, just a few hundred meters below King Samuel’s fortress in Ohrid, above Lake Ohrid on an area called Plaošnik. 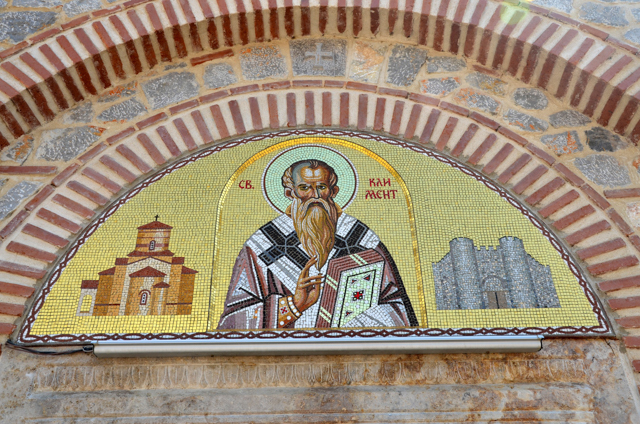 Legends states that when St. Clement (Sv. 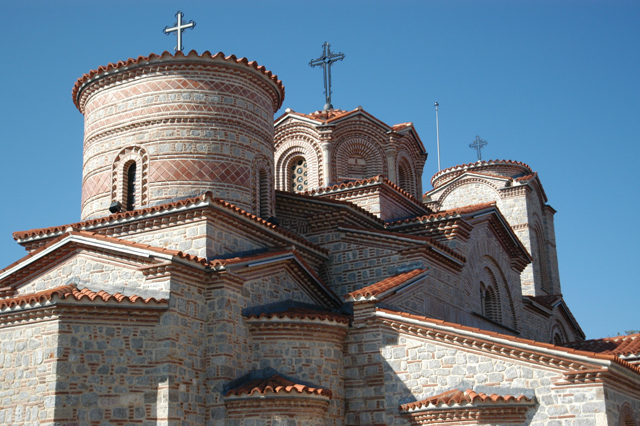 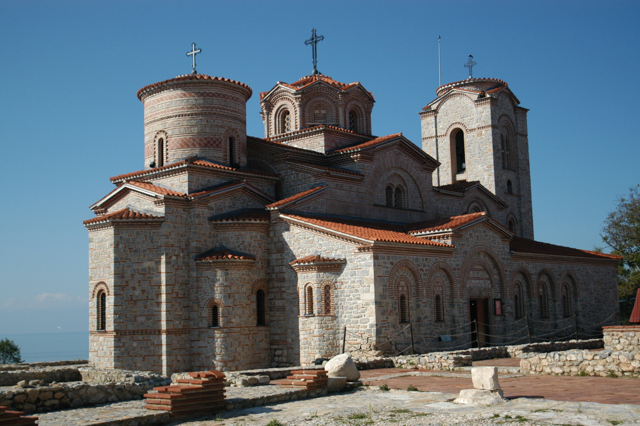 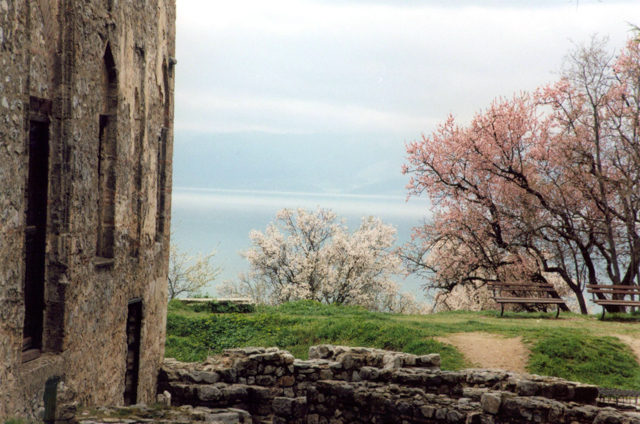 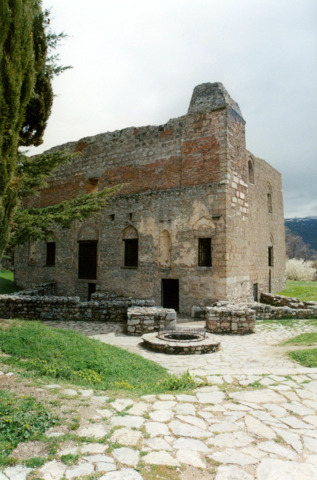 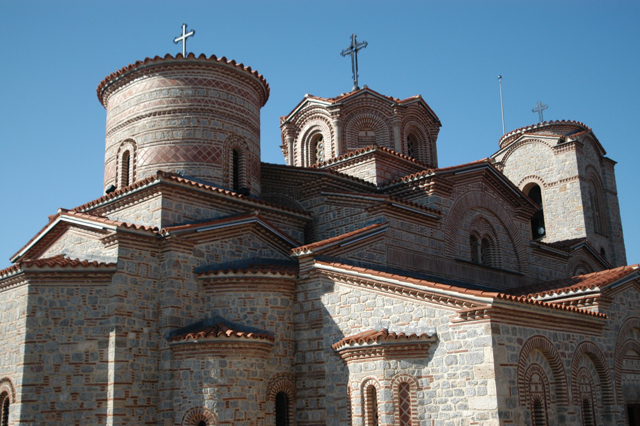 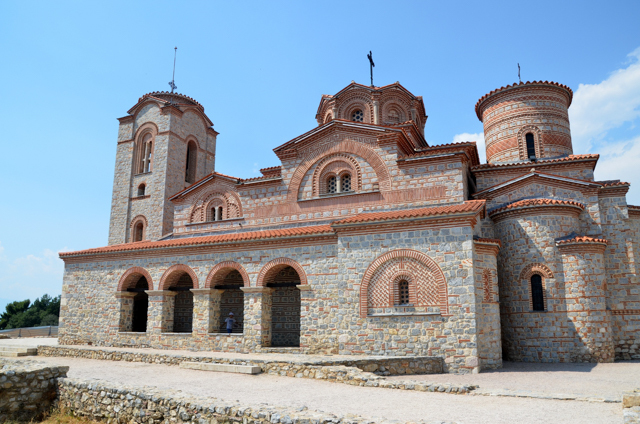 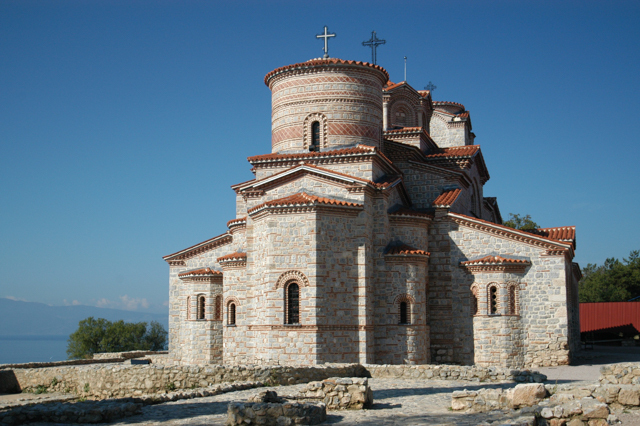 Kliment) arrived in Ohrid 893 A.D., by order of King Boris I of Bulgaria, Clement built a larger church on top of the foundation of an early Christian basilica and dedicated it to St. Panteleimon (1). 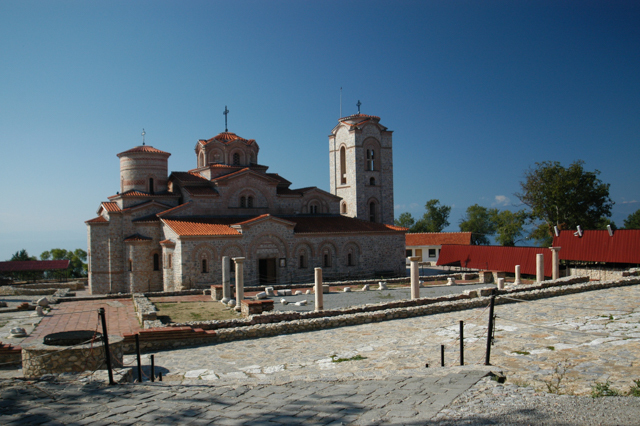 Legend also states that St. Clement prepared his own grave inside the monastery and upon his death his disciples buried him there. 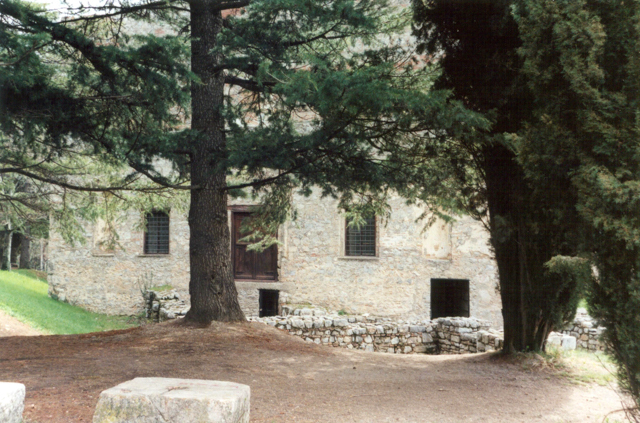 After his canonization, this Church and Monastery also became known as St. Clement. 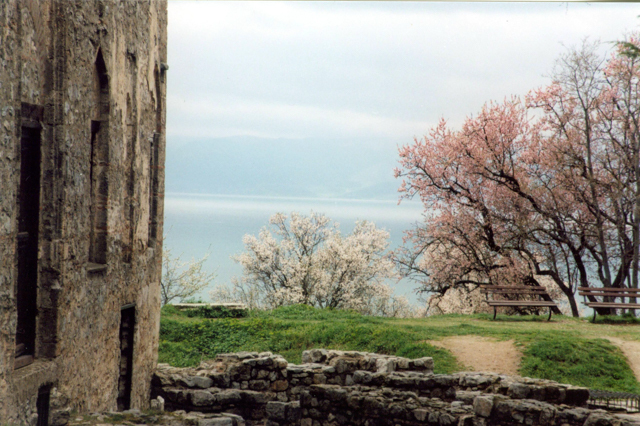 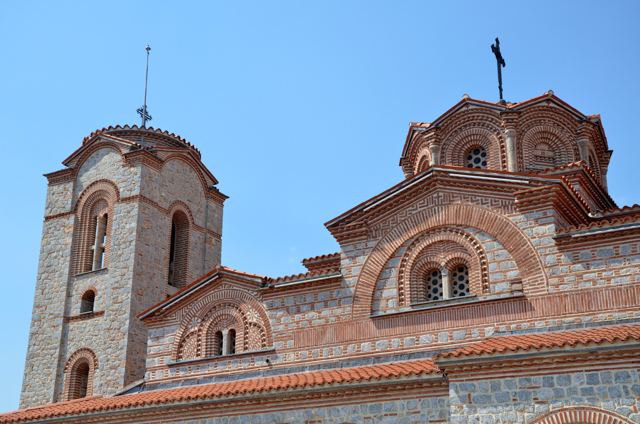 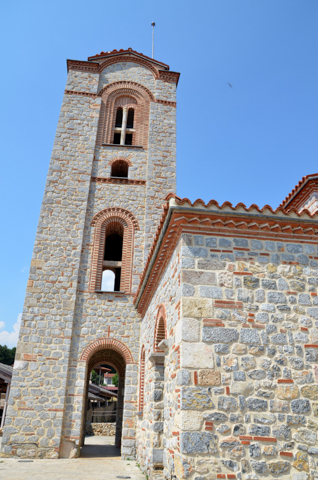 The monastery served as a school, sometimes referred to as a university or academy, but mainly known as the Ohrid Literary School, where St. Clement initially taught the Glagolitic alphabet in order to further spread the word of Christianity. 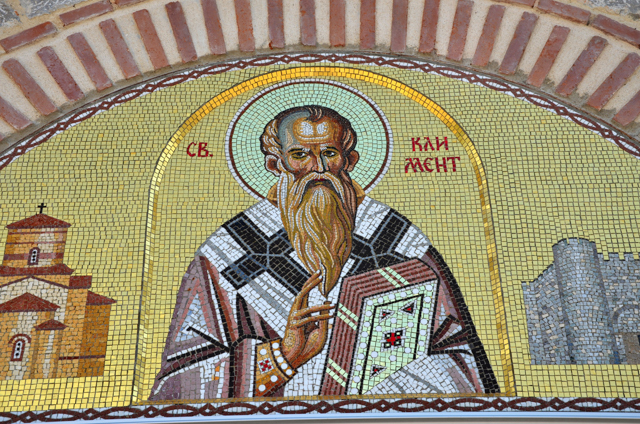 The creation of Glagolithic, the oldest Slavic alphabet, is commonly attributed to two monks, brothers from Thessaloniki, named Cyril and Methodious (Kiril i Metodij). 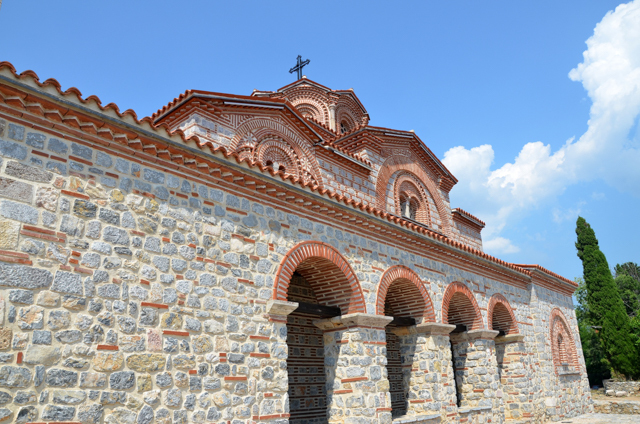 Soon they would develop the Cyrillic alphabet and this would become the language of choice for teaching and for transcribing by both St. Clement and St. Naum in their schools (2). 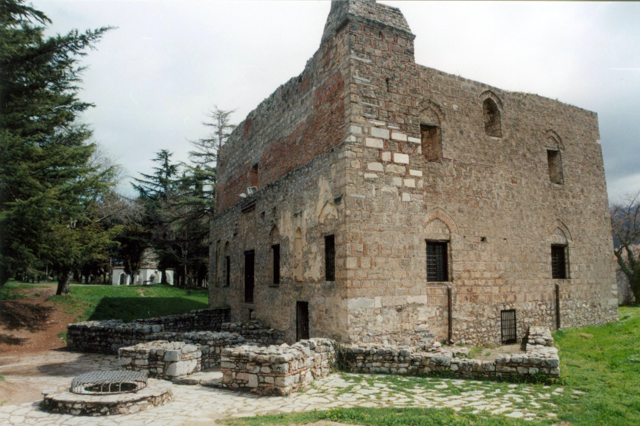 During the Ottoman Empire, the monastery underwent different reconstructions and was turned into a mosque. 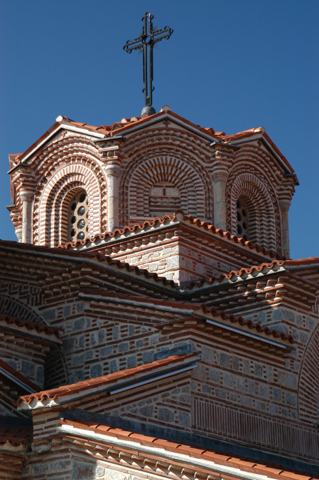 Reconstruction of St. Panteleimon as it stands today began in December 2000 and was completed in August 2002 (1). 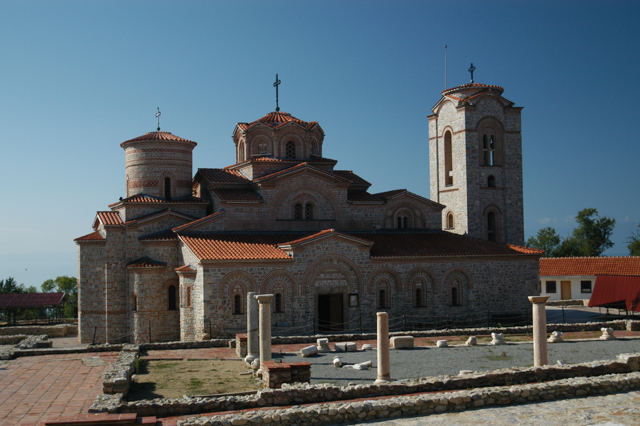 The first gallery below shows pictures of St. Panteleimon as it is today. 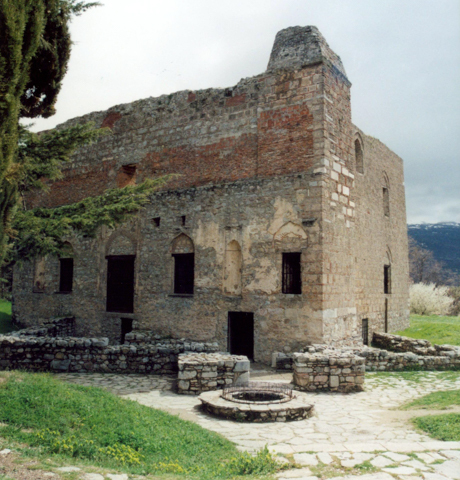 The second gallery contains pictures of St. Panteleimon before the renovation.